Get Your FREE 2017 Solar Eclipse Guide! 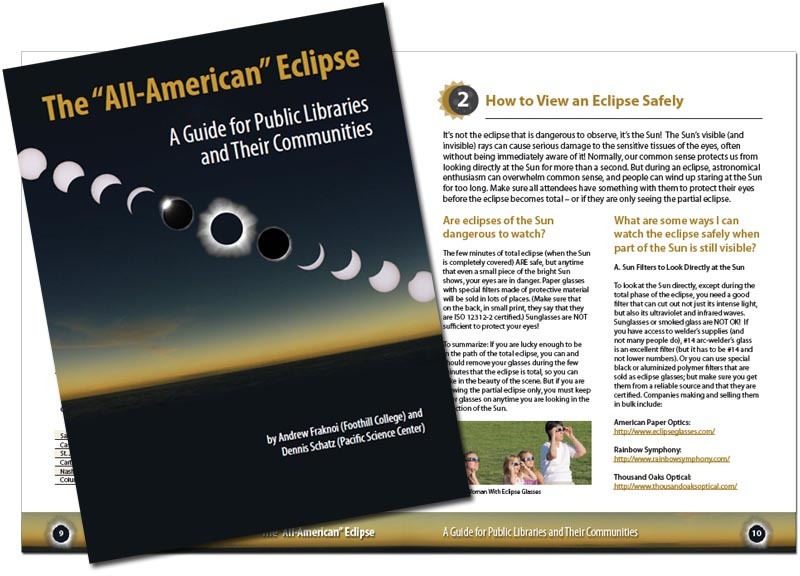 This booklet was written by Andrew Fraknoi (Foothill College) and Dennis Schatz (Pacific Science Center), with assistance and advice from Douglas Duncan (U. of Colorado), Paul Dusenbery (SSI), Anne Holland (SSI) and Kelliann LaConte (SSI). We would like to thank Janet Coffey and Robert Kirshner at the Moore Foundation for their guidance with this national education outreach project. The 2017 Solar Eclipse project is funded by the Gordon and Betty Moore Foundation through Grant GBMF5373 to the Space Science Institute. Google has also provided additional funding.